Jax loves to bring treats to share with his friends at daycare. We brought spring nests for everyone the first week of spring. He likes to share cookies when we make cookies too. He is so proud when we talk about the snack that he brought to share with everyone. So I knew he would be happy to bring treats for his birthday. My original inclination was to do cupcakes. 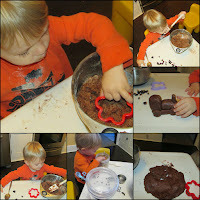 I love frosting (I know I tell you that all of the time!) so the thought of big piles of frosting was very appealing to me. But then I thought of his daycare ladies. Trying to feed a bunch of toddlers cupcakes covered in frosting sounded like a mess. So, I made these instead! 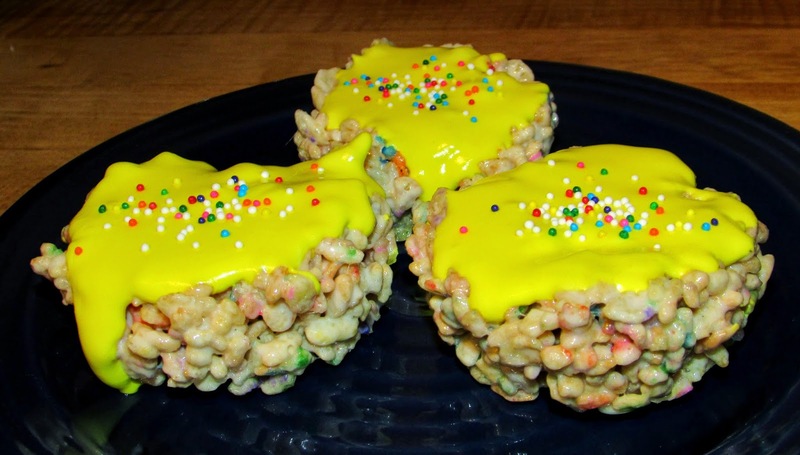 The krispie treats would be easy for the kids to eat and the royal frosting wouldn't run the risk of being smeared on everything. With sprinkles mixed in, there were fun pops of color. Jax taste tested one and loved it. He kept asking for more "treat." In a large saucepan, melt together the butter and marshmallows until completely melted and smooth. What a cool idea! 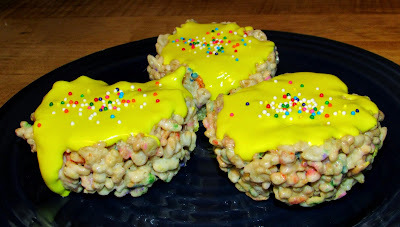 I love new and exciting ways to do Rice Crispy Treats. What fun cupcakes, awesome! 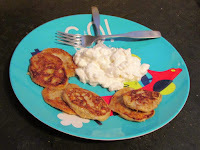 Thanks for sharing this recipe with us at Full Plate Thursday. Thank you! Jax really enjoyed sharing his treats with his friends at daycare!